Allie Marcom is a 22 year old senior at the University of Tennessee in Knoxville where she is studying Communication Studies and Leadership. She also serves as the Chapter President for Best Buddies at the University of Tennessee. Allie has been involved with Best Buddies for 10 years, raising nearly $25,000 for the organization. She founded her high school chapter, Houston High School in Germantown, TN, in 2014. Allie founded the “I Am Beautiful” Pageant in 2014 as a fundraiser benefitting Best Buddies Tennessee. 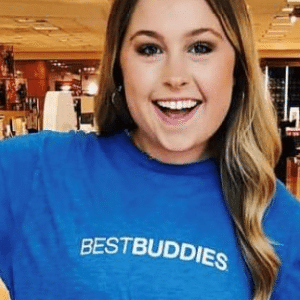 Allie has worked as an intern for Best Buddies Tennessee serving West, Middle, and East TN. Her long term career goal is to one day work for Best Buddies!